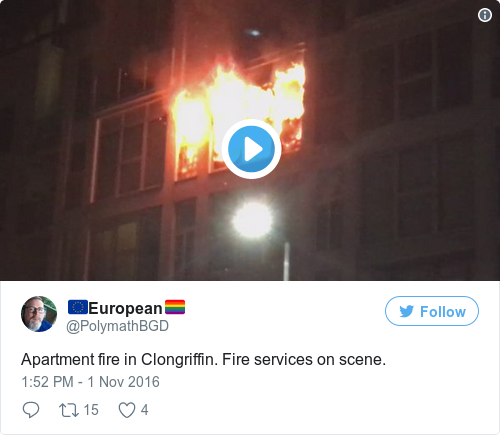 A MAN HAS been arrested in relation to a fire which forced the evacuation of over 80 apartments in Clongriffin, Dublin, yesterday. Gardaí said they are holding the man at Coolock garda station and that investigations into the blaze are continuing. A garda spokesman said: “One man has been arrested in connection with this investigation and is currently detained at Coolock Garda station under Section 4 of the Criminal Justice Act, 1984. 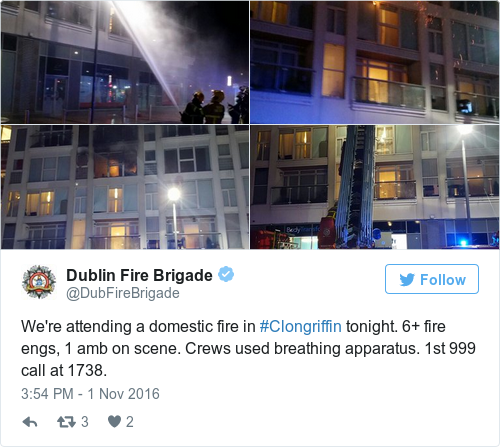 Five units of the Dublin Fire Brigade were called to the scene, as well as an ambulance, a ladder, six pumps and a commanding unit – eight units in total. 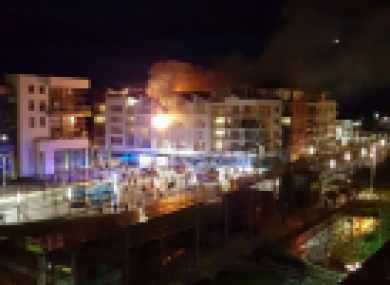 Eyewitness Paddy Ryan caught the following image of the blaze. 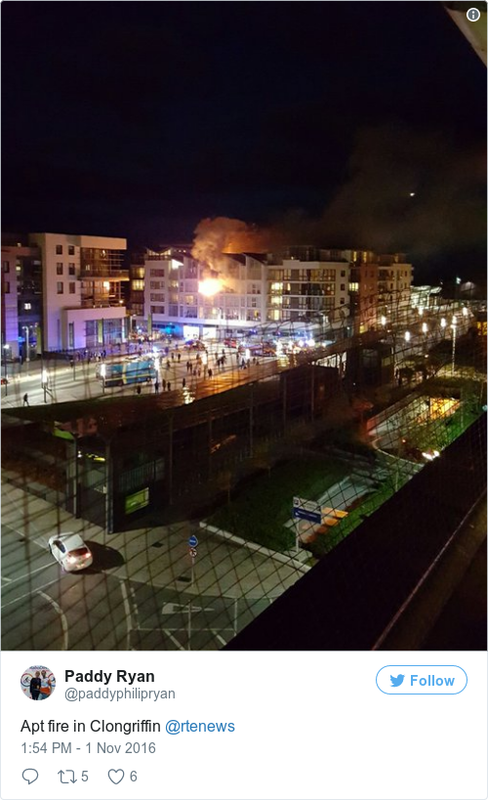 Email “Man arrested after large fire in Dublin apartment complex”. Feedback on “Man arrested after large fire in Dublin apartment complex”.